Pivit’s new SME Business Plans are designed for small-to-medium businesses. 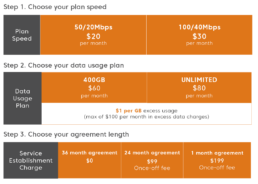 These plans allow you the flexibility to choose the components that meet your business needs from the download and upload speed through to the amount of downloads and contract length.Click on one option from each plan component below, and your total monthly charge will be shown at the end. Pivit’s new Enterprise Business Plans are designed for larger businesses.These plans include unlimited data and symmetrical upload and download speeds. Please see a list of our forms below for more detailed information or to signup today. Contact our friendly customer service team on 1300 66 33 20 if you have any further questions. Pivit is an Australian owned and operated Internet and Telecommunications company that believes in connecting people, workplaces and communities.